Posted by Octopus Publishing • Published 5th May 2013 • See Octopus Publishing's 51 projects » © 2019 Levi Roots / Mitchell Beazley · Reproduced with permission. mixture. Place a piece of chilli, skin-side up, into the centre of each pineapple ring. fluffy. In a separate bow mix together the flour, baking powder and ground almonds. each addition. Stir in the vanilla extract and add the pineapple juice, if necessary, to achieve a dropping consistency. 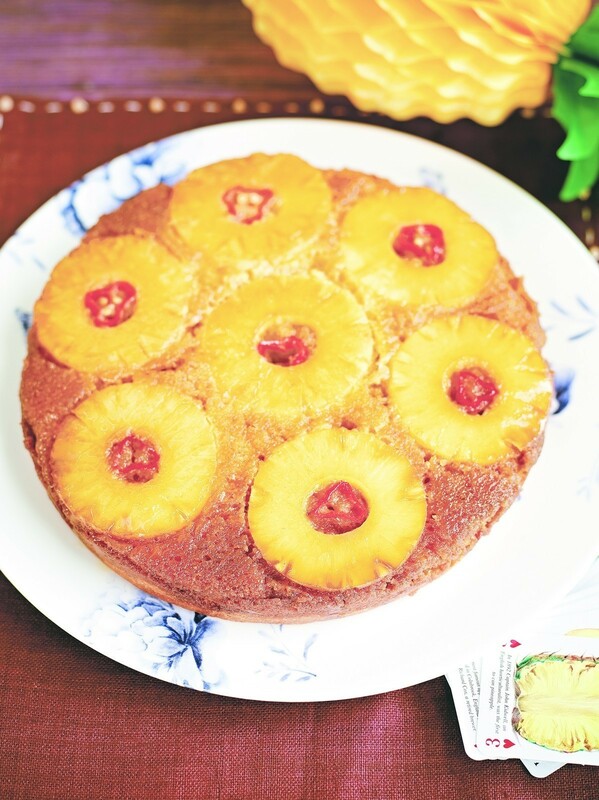 Spoon the cake mixture over the pineapple slices and spread out evenly using a palette knife. Bake in the oven for 40–45 minutes, or until brown on top and a skewer inserted into the centre comes out clean. Leave to cool in the tin for 5 minutes, then carefully turn upsidedown on to a serving plate. Remove the tin to reveal the pineapple. Serve with cream or ice cream.